Our Pure Sheepskin Boots and Slippers are available in a range of styles and colours, plus offer the ultimate in comfort and warmth. The bestselling Duchess Sheepskin Slipper is now available in 14 different colours. Our Men's Sheepskin Slippers are available in a range of subtle colours and designs - plus, you can't beat the pure sheepskin comfort. Make sure you check out the NEW Harris Tweed range. Our Children's range features a very classic style boot and slipper - perfect for days out and about. All available in a great colour selection. The Children's Mini Garrick is also now available, perfect for the little mini me. Fashionable and cool from birth - guaranteed by Just Sheepskin. We have a great selection of Baby Booties for boys and girls from birth to 2 years. Featuring a range of fastenings to make sure they stay on. 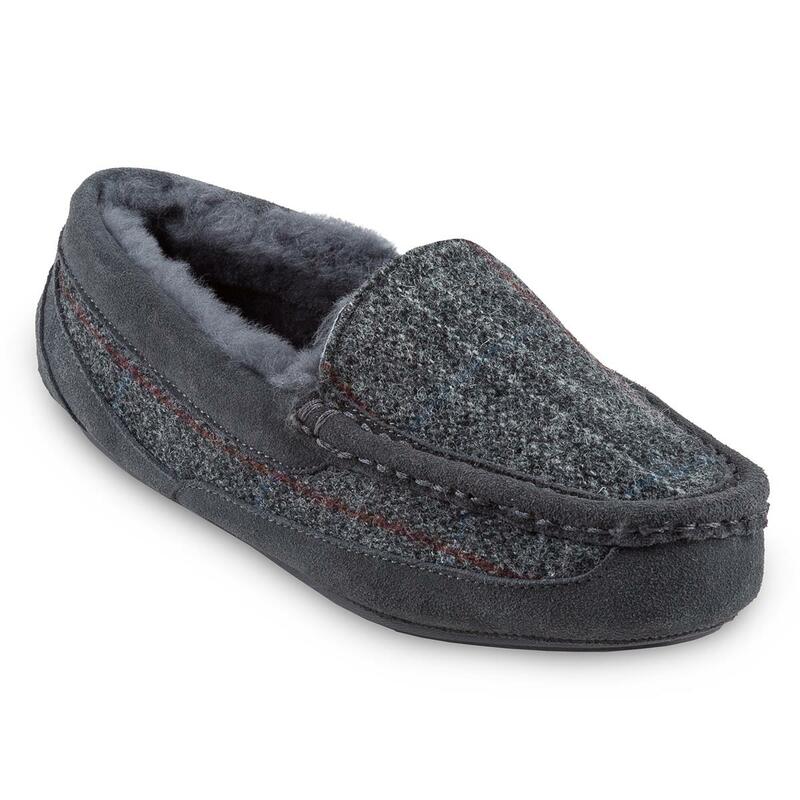 Our men's Eaton sheepskin slippers have a Harris Tweed upper and are a unique design in our range. Featuring a durable slip-resistant sole, they offer the ultimate in both comfort and warmth. 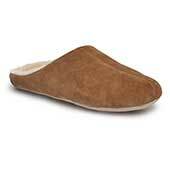 These slippers also now feature our newest innovation; DREAM step gel infused memory foam. All orders are eligible for FREE UK Delivery and Returns to guarantee the perfect fit.